Is Kohli the worst captain in the ongoing IPL? Is Virat Kohli being considered the worst captain in the ongoing Indian Premier League (IPL)? One cannot blame a cricket follower if he starts thinking that way. 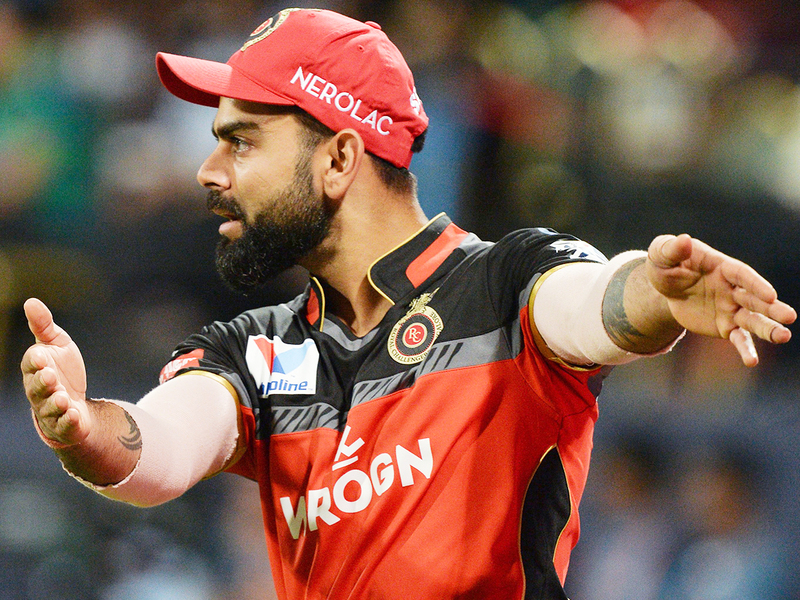 Kohli’s Royal Challengers Bangalore team is at the bottom of the IPL table, and going by the trend they may become the first team to crash out of the league. Had any other team performed so badly in the IPL, the abilities of that team’s captain may not have surfaced this much. Kohli is not just a IPL team’s captain but he is also the skipper of Team India and leading the team in the oncoming World Cup. So irrespective of the drawbacks of the Bangalore team, Kohli, using his captaincy skills, should have transformed them into a winning combination. In cricket, it is easy to find excuses when a team loses. We have often heard stock responses from captains and coaches about their team combination not clicking and that they haven’t found the momentum. The question is why is Kohli unable to guide his team to pick up that momentum? Many supporters of Bangalore feel that Kohli has done his best although he has not been as consistent as a batsman like he is when he plays for India. Unfortunately, here the debate is not about Kohli the player, but a captain who hasn’t been yet able to turn things around. There is a famous saying that a captain is only as good as his team. In the case of Bangalore, they are not a bad team; so Kohli as captain should have worked on making it look good and not face a string of defeats. Kohli is now expected to guide that team to victories, and only then can he silence all those who now say that he is the worst captain in the present IPL. One can argue that Kohli’s performance as captain in a T20 League should not be taken seriously, and not compared with his captaincy in international cricket. Today a captain’s performance, be it in any league, and if he happens to be a national team captain, will be closely scrutinised. If Pakistan captain Sarfraz Ahmad-led Quetta Gladiators to a string of defeats in the Pakistan Super League instead of winning the trophy, he would surely have had to face a call to be removed from captaincy for the World Cup. Cricket competitions are now ruthless and fans want victories especially if the captain happens to be a high profile one. They expect him to possess the magic wand to win matches. A captain stands out when he transforms a team into a winning combination; if not one will have to accept that Kohli’s captaincy skills are only as good as his team.